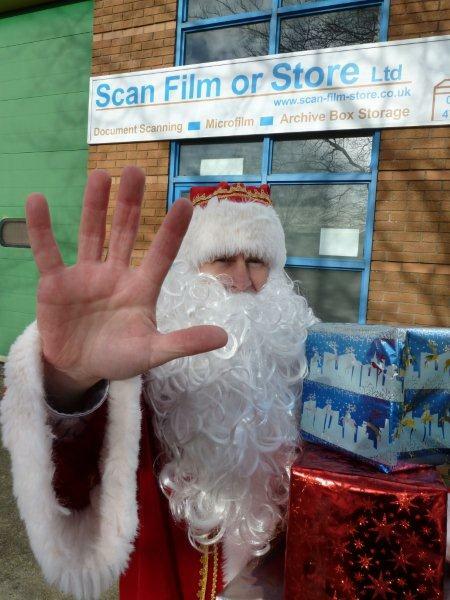 This week it has been revealed that even Santa is having a tough time in the current ‘triple dip’ recession. Although the storage company would not give out any information about exactly what Santa was storing with them we did manage to interview one of his key staff, Ann Elf, who said that it was normal for Santa to store presents for reuse the following year. Apparently these are presents that are not delivered to ‘naughty boys and girls’ who don’t deserve them! So it appears that there is now definite proof that if children (and adults) don’t behave during the year they get NOTHING from Father Christmas – so tell your kids! A spokesman for the box storage company said that storage of confidential documents in secure boxes is their speciality and as they never look inside at the contents they could not comment on what was in the boxes stored with them. He went on to say that he did think it a bit odd that they had to open up specially on the 26th December each year to receive ‘brightly wrapped boxes’ from a very inebriated colourfully dressed and cheerful chap who arrived in a sledge pulled by knackered looking reindeers!